This self-sustained apartment is a perfect coastal getaway surrounded by the “Table Mountain National Park”. With Cape Town City Centre, the Waterfront and Cape Point only 30 minutes from here you will have the perfect starting point for your city trip. Our beautiful private apartment is situated on our private premises in a 24-hours-manned security estate with stunning views towards Noordhoek Beach and Chapman’s Peak Mountain. This apartment with separate entrance offers an open plan lounge, dining and kitchen area with a separate bedroom. Two double doors leading onto a spacious balcony with fantastic ocean and mountain views. 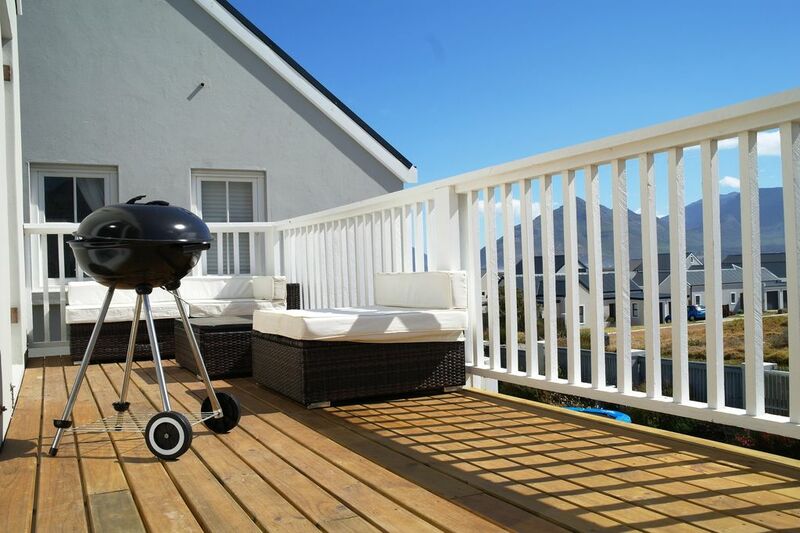 You will find seating and braai/BBQ facilities on your private balcony. There is a sleeper couch in the living room and we can add extra beds/cots for kids. We offer secure off street parking and complimentary Wi-Fi internet access. Perfect for a couple or small family wanting to stay close to the surf, nature walks, hiking, cycling or mountain biking.